It’s one of the mantras of the church growth movement. "We count people because people count." It also happens to be true. Most of the time. But that that’s not the only reason pastors count people. What two reality TV shows taught me about bringing innovation, health, and joy to broken churches and pastors. Being small does not mean that something is broken. But if something is broken, you can’t fix it by making it bigger. Those principles were reinforced for me recently in a surprisingly unlikely place. Reality TV. I reached my limit last week. 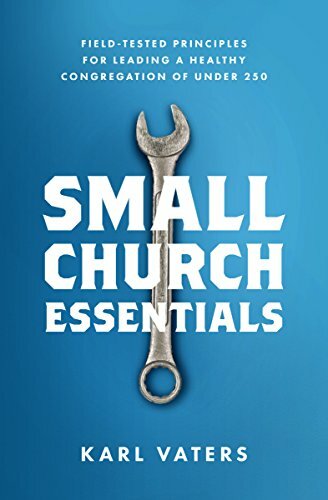 Of course there are small churches. Lots of them. And it's okay, not just to acknowledge that reality, but to celebrate it. Just a couple decades ago, if you wanted to get your message to a massive audience, you had to work your way up a very hard, long ladder. And every step on that ladder had a media gatekeeper who could stop your progress. Redefining church growth and ministry success on this side of a church growth gap. Church growth is not a steady line. Not only does it have ups and downs, it also has gaps. Some bigger than others. Why are you doing this alone? That question is printed on a card that sits on my desk every day. It reminds me not to fall into the trap that too many small church pastors get caught in. That I tend to get trapped in. "So, what do you do for fun outside of pastoring?" Someone asked me that question many years ago and it stumped me. I didn't know what to say, because the truth was, I didn't do anything for fun. Helping people come to faith in Jesus used to be as easy as 1-2-3. 1. Invite a friend to church. 2. The friend comes to church. 3. The preacher closes the deal.